i. The International Union of Food Science and Technology (IUFoST), the global voice of food science and technology in association with Indian National Science Academy (INSA) as adhering body, announced the 19th edition of its prestigious global event to be held in Navi Mumbai, India in October 2018.
ii. The five-day event will bring together researchers, academicians, professionals, policymakers and industry leaders from across the globe to showcase innovation, exchange breakthrough ideas and drive policy issues. The focal theme for this edition of the prestigious congress is 25 Billion Meals a Day by 2025 with Healthy, Nutritious, Safe and Diverse Foods. i. The Delhi government launched 'Happiness Curriculum' for school students up to class 8. The Dalai Lama, Delhi Chief Minister Arvind Kejriwal and Deputy Chief Minister and education department in-charge Manish Sisodia were present at the occasion. ii. The 'Happiness Curriculum' was termed as the third stage of reforms in the education sector initiated by his government after infrastructure development and motivation of teachers at the government schools. · Anil Baijal is the present Lieutenant Governor of Delhi. i. 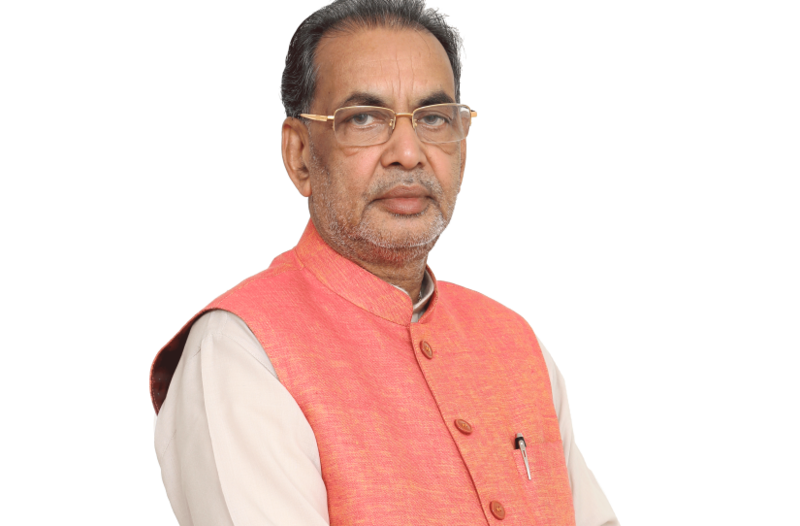 The Agriculture and Farmers’ Welfare Minister Radha Mohan Singh has notified the "National Policy on Marine Fisheries, 2017", which will guide the development of marine fisheries sector for the next 10 years. ii. It was announced at the inter-session meeting of the consultative committee of the Ministry of Agriculture and Farmers’ Welfare on “Marine Fisheries-Mariculture in India” in Rameswaram, Tamil Nadu. iii. The government has also included a sub-component namely, 'Assistance for Deep-Sea Fishing' under 'Blue-Revolution'. i. Numaligarh Refinery Ltd (NRL) in Assam has become the first oil public sector undertaking (PSU) to adopt an online legal compliance system by introducing 'Legatrix'. ii. The cloud-based compliance management system was inaugurated by Managing Director S K Barua at the company’s corporate office in Guwahati, recently. This initiative will boost up NRL’s contribution towards the Digital India Mission and induce a greater transparency in its operations. · 'Legatrix' is a one-stop solution for effectively managing the organisation’s legal and regulatory compliances through monitoring control at different levels. i. Major General VD Dogra became the first serving Indian Army officer and the only General across the world to have completed a gruelling ‘Ironman’ competition held in Austria. The Ironman is an international triathlon consisting of three consecutive events- 3.8 km of swimming, 180 km cycling and 42.2 km of running (a full marathon). ii. It is considered the toughest one-day sporting event in the world. The competitors have to complete the events in sequence within 17 hours to earn the title of ‘Ironman’. Maj Gen Dogra completed the event in 14 hours and 21 minutes. i. The Sunil Mehta Committee, set up to look into the faster resolution of stressed assets, has recommended the creation of an asset management company for the resolution of stressed loans worth more than Rs500 crore. ii. Finance minister Piyush Goyal announced that government has accepted a report submitted by a committee of bankers led by Punjab National Bank chairman Sunil Mehta. iv. The Mehta Committee has further proposed a Bank Led Resolution Approach (BLRA) for loans between Rs 50 and Rs 500 crore. Under the BLRA approach, financial institutions will enter into an inter-creditor agreement to authorise the lead bank to implement a resolution plan in 180 days. i. IndiaFirst Life Insurance Company Limited, a joint venture between Bank of Baroda, Andhra Bank and Legal and General (UK), has announced its tie-up with Oxigen Services India Pvt. Ltd., to establish the distribution of its insurance products at Oxigen retail outlets. ii. Oxigen is one of the leading providers of money transfers and prepaid recharges as low as Rs. 10. · IndiaFirst Life Insurance Company Limited headquarters in Mumbai, Maharashtra. · It was launched in 2010.
i. The Bharti Infratel, a mobile infrastructure company, has got the approval of competition watchdog Competition Commission of India (CCI) for merging its operations with Indus Towers. ii. The proposed merger values Indus Towers at an enterprise valuation of Rs71,500 crore, and will create one of the largest mobile tower entities worldwide with 1.63 lakh towers in all 22 telecom circles. The combined company will own 100% of Indus Towers. · Competition Commission of India (CCI) was established on 14th October 2003. · It headquarters in New Delhi. i. Senior bureaucrat Saraswati Prasad has taken over the additional charge as chairman and managing director of steel PSU Steel Authority of India Limited (SAIL). ii. Mr Prasad succeeds P K Singh who retired recently. · SAIL Headquarters- New Delhi, Founded in- 1954.
i. P K Shrivastava took over the reins of the Ordnance Factory Board as its new Director General and Chairman. Shrivastava was earlier the additional director general of ordnance factories and member at OFB. ii. He was also in-charge of OFB's Armoured Vehicles headquarters at Avadi in Chennai. Shrivastava joined Indian Ordnance Factories' Service in 1982. · Ordnance Factory Board Headquarters in Kolkata, West Bengal. · OFB is the oldest and largest industrial setup which functions under the Department of Defence Production of the Ministry of Defence. i. Noted artist Anjolie Ela Menon had received the National Kalidas Samman in Delhi for visual arts from the Madhya Pradesh government. ii. With her first solo exhibition being held in Delhi in 1958, Menon is counted among India’s most accomplished artists and is the recipient of numerous national and international awards including the Padma Shri. i. Australian captain Aaron Finch slammed 172(76) against Zimbabwe to register the highest-ever individual score in T20Is, overtaking his own record of 156 runs. ii. The 31-year-old opener smashed 10 sixes and 16 fours in his knock before getting out hit-wicket. Finch and D'Arcy Short shared a 223-run opening stand, which is the highest-ever partnership for any wicket in T20Is. i. Red Bull’s Max Verstappen won the Austrian Grand Prix 2018 title in Austria. Ferrari’s Kimi Raikkonen finished in the second spot. ii. Ferrari’s Sebastian Vettel finished in the third spot. Mercedes’ Lewis Hamilton retired from the race due to a mechanical issue in his car. · Austria Capital: Vienna, Currency: Euro.